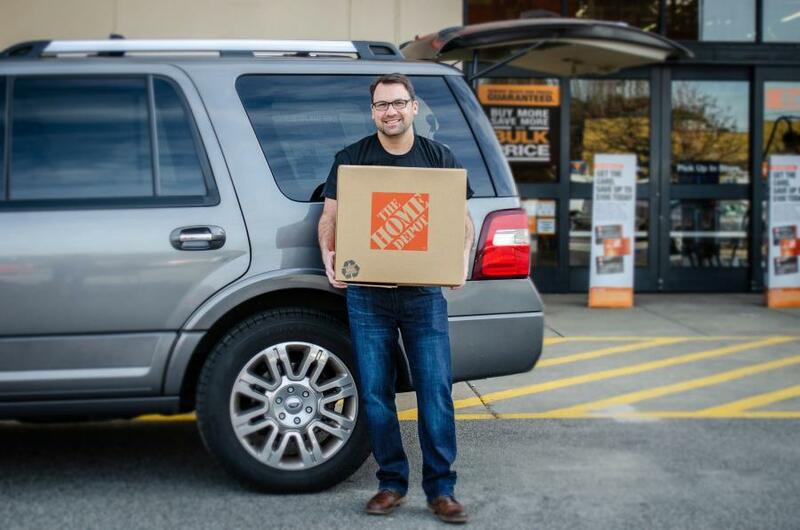 The Roadie delivery app is finding particular success with its partnership with Home Depot, which now offers same day project deliveries at more than 400 of its stores throughout the United States. The delivery startup recently raised an additional $37 million (toward its total $62 million) in Series C funding from both Warren Stephens and Eric Schmidt's Tomorrow Ventures, and some of those millions also came from Home Depot. Jamie Gottlieb, communications manager of Roadie, spoke with Construction Equipment Guide about its unique connection with Home Depot, and by extension, with contractors and construction workers and managers throughout the country. "We've had a very positive reaction from our partnership with Home Depot. It's not just professional contractors and construction teams that need last minute or additional tools or parts or paint or fencing; it's DIY people and everyone in between, too. Because we're about unused capacity and proximity, it's very easy to arrange a delivery, versus than having to send someone from the team — or go yourself — to pick up a much-needed item from the nearest Home Depot. Users can simply choose Roadie instead of having to send someone in a work truck, with money, to go get extra hammers or whatever." It's not only on the receiving end that contractors benefit, however. If someone who works in the home repair or maintenance field knows she or he is likely to make frequent trips to and from Home Depot, that person can sign up with Roadie to make deliveries to or from the store. "If you're driving somewhere, and you arrange to make a delivery, not only are you getting paid to travel a route you'd use anyway, but you're also helping a neighbor," Gottlieb said. Though Roadie has had great success with Home Depot, it should be noted that the company also works extensively with Delta in the delivery of delayed baggage, with Walmart in grocery delivery, as well as with countless smaller vendors, all of which offer fast and/or free delivery. Along with those who regularly visit Home Depot, Roadie also works with drivers for other companies, as well as people driving to and from work, truck drivers, or regional road trippers. Drivers are fully screened and certified. Roadie also provides $500 worth of free insurance, with $5 per extra $500 needed. Or, if recipients choose, up to $10,000 in insurance can be purchased through a partnership with UPS Capital. "Our system works very well with available space," Gottlieb said. "Many professional delivery companies charge by weight rather than by capacity, whereas we believe that since a box of feathers and a box of bowling balls take up the same amount of room, you should only pay by package size."